I have been in remiss in thanking those who have mentioned me in print or on the radio. Click - "Japan's Abe Is the World's Best Leader"
I am not quite as enthusiastic about Abe Shinzo his plans as Dr. Smith. Still we both agree he is a whirl of activity in a sea of turgid counterparts. Click - "The battle for Japan"
My caveat to my quote is similar: all is relative. As compared to what other governments are proposing to do, most of which is a fat load of nothing, Abe's "thousand needles" reform proposals look grand. On the concept Jesper Koll espouses -- that the most recent bundle of 240+ proposals is like a venture capital portfolio; some policy changes bad, most washouts, a few really great -- a worry. If this throwing darts at a dartboard mentality inhabits the minds of those running the reform program, then they need to have explained to them the difference between a venture capital fund, which is taking investment and trying to forge it into a businesses, and government, which is taking revenues extracted forcibly and using them to try to build a safety net for the taxpayers. Only those who have a plane tickets and a passports out of a country, in case things go haywire, should ever be considered an act of government just one slice of a portfolio investment. Click - "Dumb Walking in Japan"
With the pleathora of warnings now appearing on the subways about the many ways smart phones make you a dumb walker, the proliferating letters to the editors of newspapers about the phenomenon and the news networks now compiling "death by smart phone" statistics (currently overshadowed by the national panic over traffic accidents caused by folks high on so-called "extra-legal herbs" - dappo haabu - Link J) I can hardly claim title to the individual most uptight about the consequences of the 100% rise in the use of smart phones in the last 18 months. 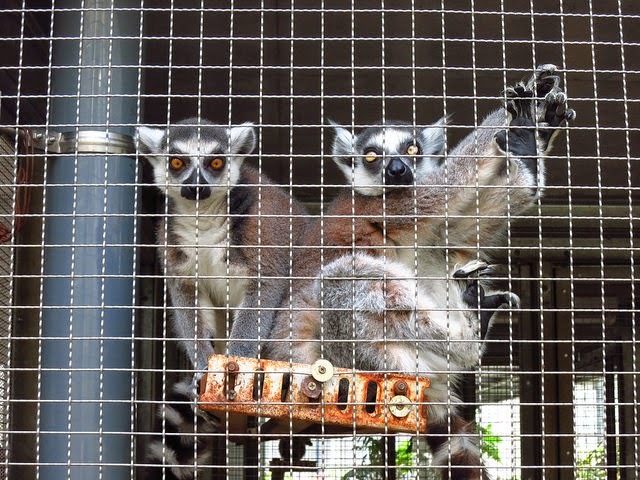 Image: Ring Tailed Lemurs (Lemur catta) at the Food and Agriculture Museum, Setagaya City, Tokyo Metropolitan District. 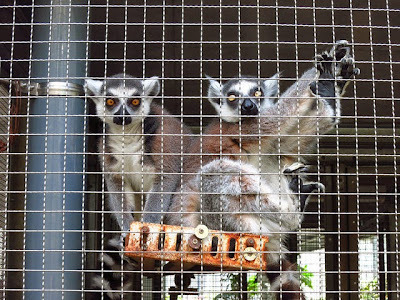 Lemurs? At the Ag Museum? I remember on Twitter that you said you would appear on Al Jazeera and Channel News Asia. Did anything come of those interviews? Al-Jazeera could not be worked out in terms of scheduling but the CNA interview went through. No links that I know of. I stumbled upon your blog from the BBC's homepage. I look forward to continued reading. Your analysis of Japan is nuanced and not stereotypic. Coincidently, I am also a reader of Noah Smith's blog. I enjoy his analysis as well, but find his opinions of Japan hampered by being stuck in the 80s caricature of what Japan was.